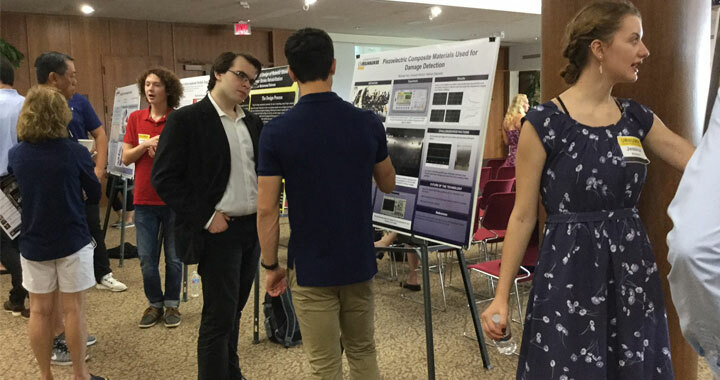 Every summer, the Office of Undergraduate Research hosts a group of incoming freshmen to participate in a research mentorship program with UWM faculty. The program, known as UR@UWM, began in 2009 and its goal is to pair high-achieving high school graduates with faculty members who are working on research that fits the student’s academic interests. This gives incoming freshman the opportunity to participate in the research environment at UWM before beginning regular classes, with the hope that they will stay involved in the research community throughout their time at UWM. 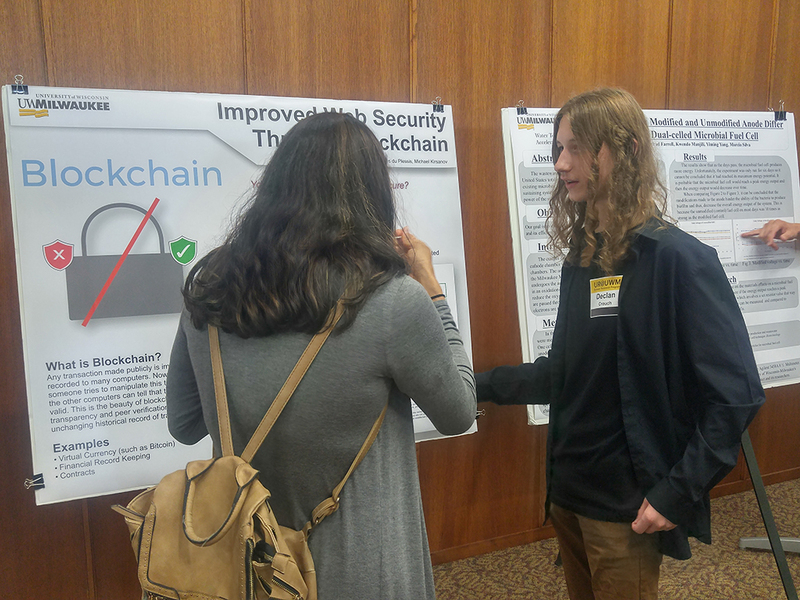 This year, incoming freshman Declan Crouch teamed up with SOIS Associate Professor Jacques Du Plessis, and graduate student Michael Kirsanov, on a project titled “Impacts of Blockchain Technology,” which explored how blockchain could be explained to average computer users and how the technology could be used to verify signed certificates used in web browsing across the globe. The four week research project culminated with Declan Crouch presenting his findings at a UWM poster session in August.